1. The fabric is amazing. Beautiful, soft & thick. 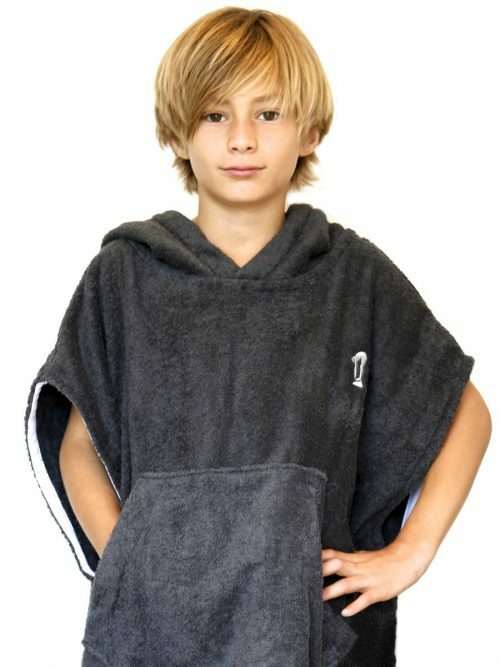 This extra thickness makes these robes nearly windproof as well as very absorbent. 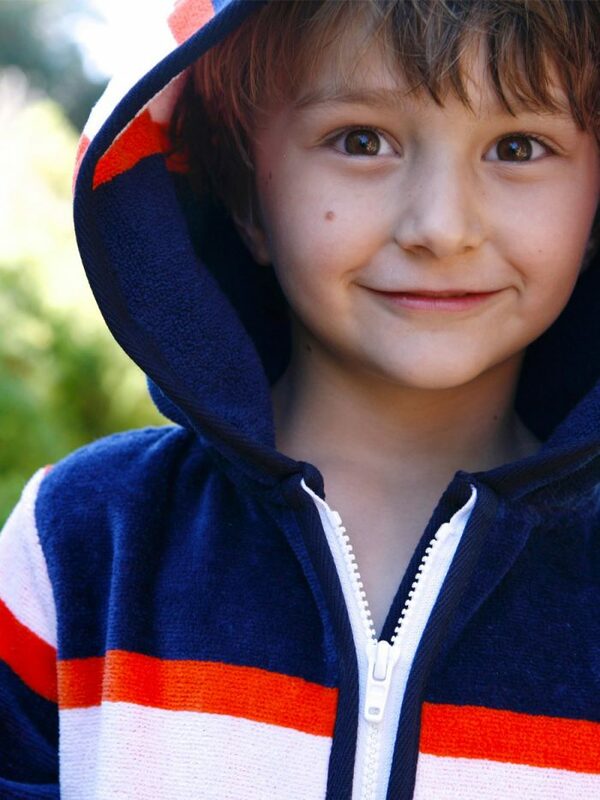 Water is absorbed and dispersed by the extra cotton meaning dampness (and coldness) is kept to a minimum. 2. 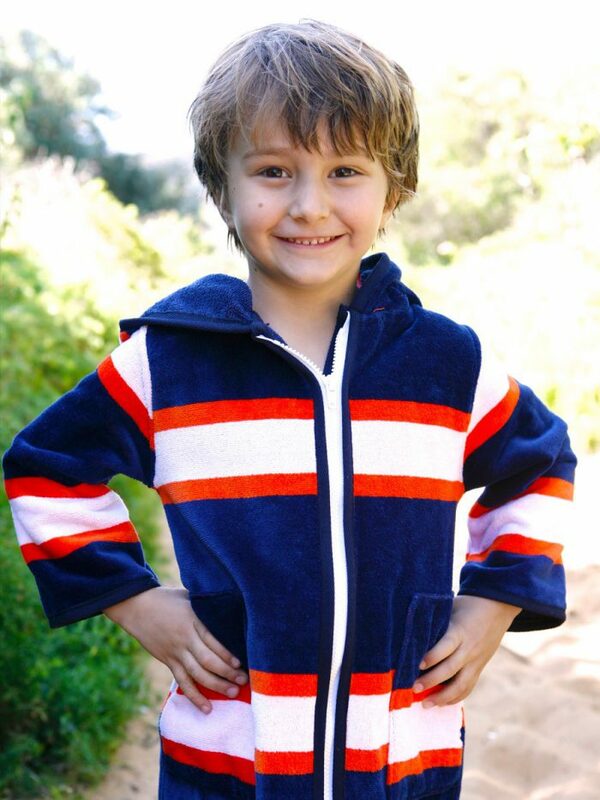 The zipper seams are fully covered (internal) so there is no chance of any icy breeze sneaking through. 4. Extra length has been added to the hem for greater leg cover. 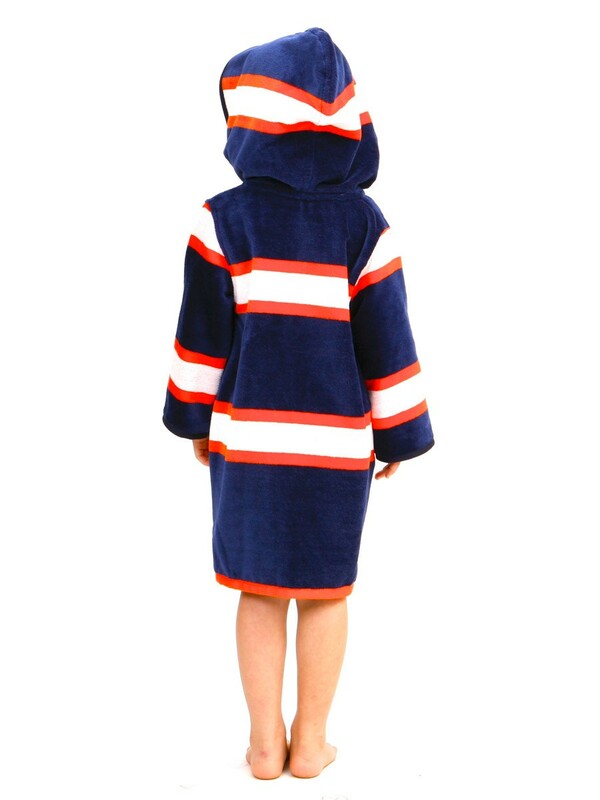 The result is a truly special beach robe. Perfect for a child that feels the cold, if your location is cool out of the water or if you have have evening, afternoon or winter swimming lessons planned. 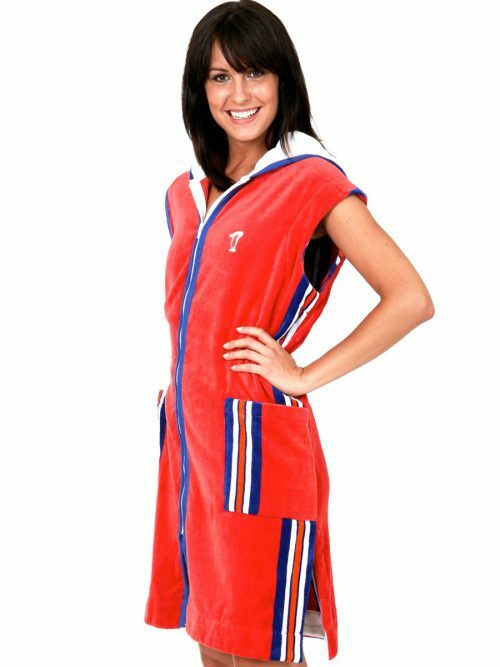 Terry Rich Australia are experts in beach robes, swim robes and sun cover-ups. 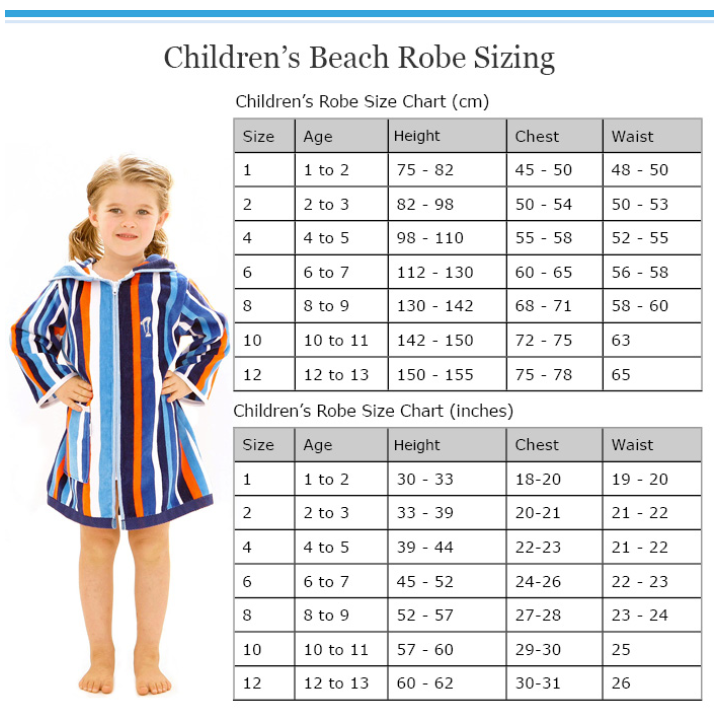 To learn more about the different styles of beach robes and cover ups, click here. Earn up to 600 Points. 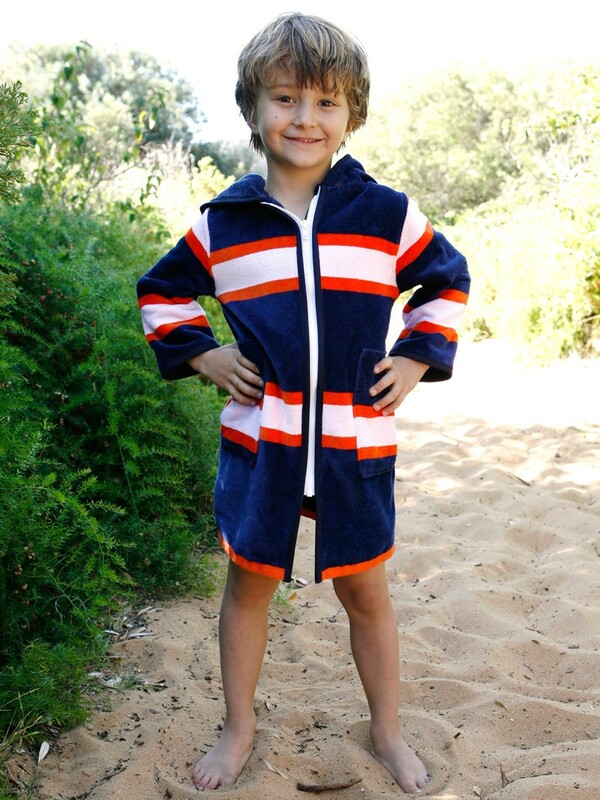 This unisex LUXE Sport Beach Robe design is in classic Navy with striking Orange & White stripes. 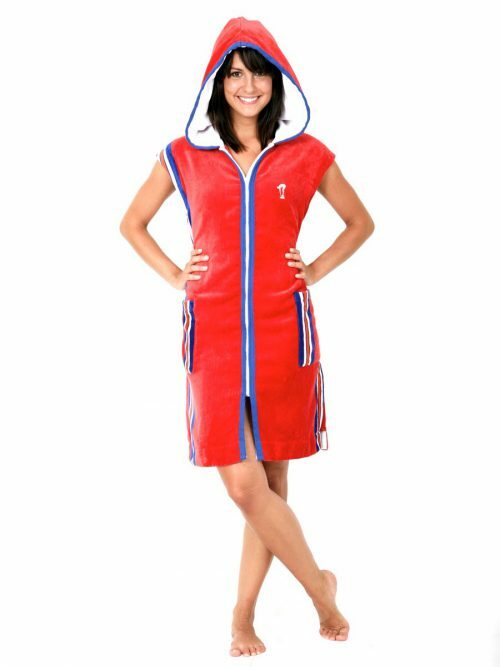 Terry Rich Women’s Beach Robes are generous in sizing making them easy to slip on and off, especially when you are wet! We suggest you select your normal size when purchasing. 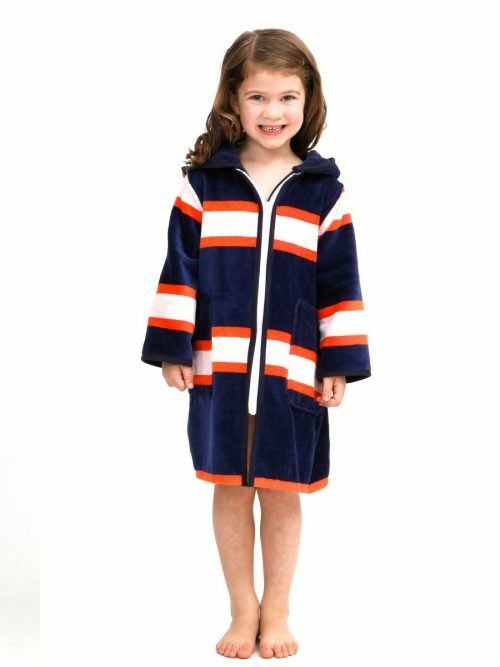 Only select a size up if you are looking for an very loose and roomy robe. We find quite a few customers purchase a size up as they want a generous fit, only to swap it for their regular size (which is already a generous fit). 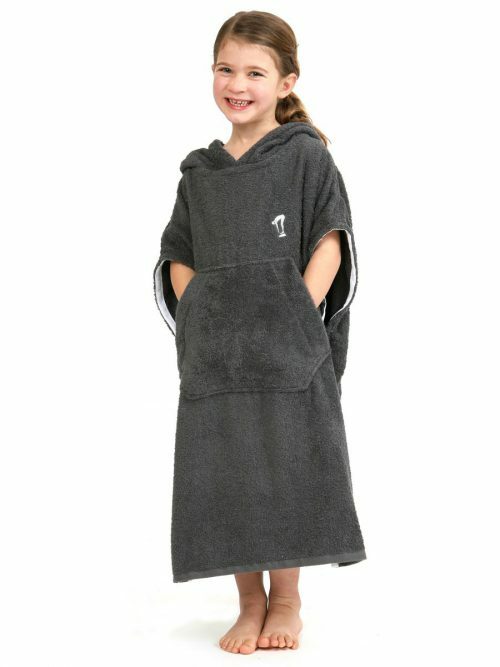 Robe length is designed to sit just above the knee. 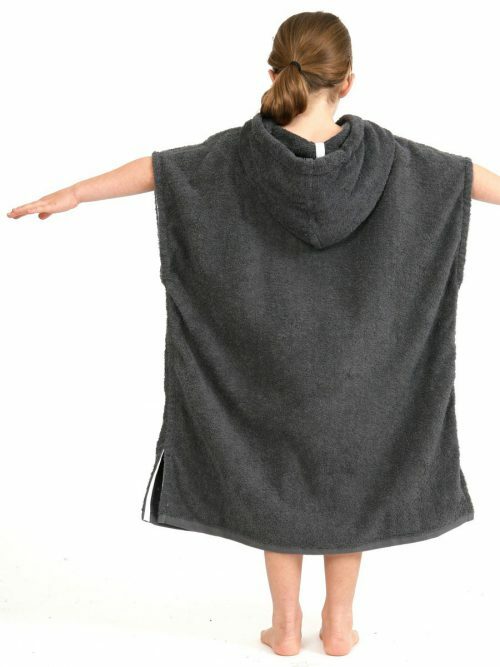 Our models are generally tall with long legs, so if this is you then they will likely end a tad higher, just as they appear in our product photos. Chest and waist measurements are also generous. In the sleeved robes we have also added a waistband so you can adjust the waist to suit.